In the New Forest Milford on Sea is a beautiful seaside place to visit. a great countryside and coastal experience. Visiting the New Forest at Milford on Sea offers you an instant contrast of scenery. 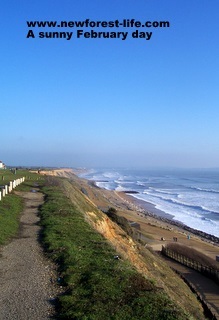 As you can see from this photo the town is beside the coast with spectacular views and lovely stretches to walk along. Although it is part of the New Forest the ponies and other animals are confined behind a cattle grid in this area - good news for their safety! 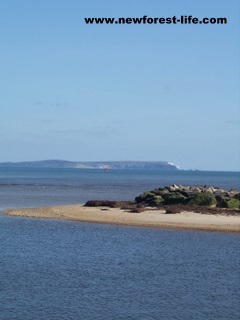 On a clear, sunny day there are stunning views across to the Isle of Wight and miles of coastal walks.Would you believe this photo was taken in February - only the choppy sea gives it away. Milford on Sea is placed ideally between Christchurch to the west and Lymington to the east. The lovely village of Keyhaven with its nature reserve, lighthouse and the part Tudor Hurst Castle are just a few miles away. There really is so much for you to explore and discover here. I hope you enjoy your stay, wherever you choose. I've just discovered a wonderful place for you to find out everything possible about Milford on Sea. This really is a wonderful site to visit - it covers all aspects of life in this lovely New Forest village. At this part of the New Forest coast you can even see the ponies grazing by the sea! There are often events going on which are well worth making a note in your diary - especially if they involve food! Milford on Sea Food Week really does offer everything for the Easter week from Easter Monday to Sunday 11th April. "Our village will be alive with dining offers & themed events, cookery demonstrations & experiences, educational events, presentations & talks, children’s fun cooking classes, kids food treasure hunt, our own 'come dine with me!' 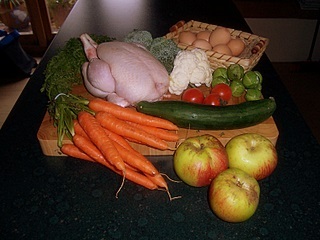 event, recipe book swaps, a village recipe book, & the chance to buy local produce at our very own food market. There are over 100 village events run by various local eateries, clubs & organisations, with something for everybody & every age group." There really is no limit to what you can discover, experience and enjoy in this unique environment. Whether you choose the beauty of the New Forest countryside or the stunning coast. Each will offer you lots of different and memorable animals, places and food to remember forever. 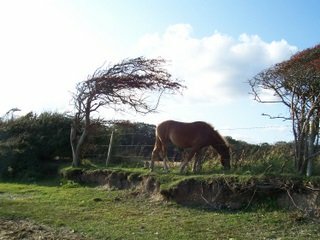 Visit the New Forest at Milford on Sea and get into the heart of this wonderful landscape and history. I'm sure you'll find a warm welcome wherever you go.